Kartli (Georgian: ქართლი [kʰartʰli]) is a historical region in central-to-eastern Georgia traversed by the river Mtkvari (Kura), on which Georgia's capital, Tbilisi, is situated. Known to the Classical authors as Iberia, Kartli played a crucial role in the ethnic and political consolidation of the Georgians in the Middle Ages. Kartli had no strictly defined boundaries and they significantly fluctuated in the course of history. 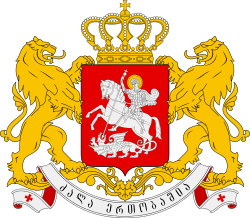 After the partition of the kingdom of Georgia in the 15th century, Kartli became a separate kingdom with its capital at Tbilisi. 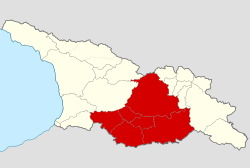 The historical lands of Kartli are currently divided among several administrative regions of Georgia. 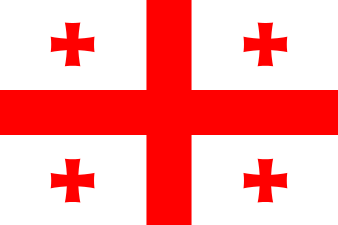 The Georgians living in the historical lands of Kartli are known as Kartleli (ქართლელი) and comprise one of the largest geographic subgroups of the Georgian people. Most of them are Eastern Orthodox Christians adhering to the national Georgian Orthodox Church and speak a dialect, which is the basis of the modern Georgian literary language. ↑ Klimov, Georgy (1998). Etymological Dictionary of the Kartvelian Languages. Berilin: Walter de Gruyter. p. 213. ISBN 9783110156584. Retrieved 7 June 2015. ↑ Fähnrich, Heinz (2007). Kartwelisches Etymologisches Wörterbuch. BRILL. p. 458. ISBN 9789004161092. Retrieved 7 June 2015. 1 2 3 Sanikidze, George (2011). "Kartli", in: Encyclopædia Iranica, vol. XV, fasc. 6, pp. 628-629. Online (Accessed February 19, 2012).